Choke’s Stay Up is making some solid moves on the Earshot charts this week. 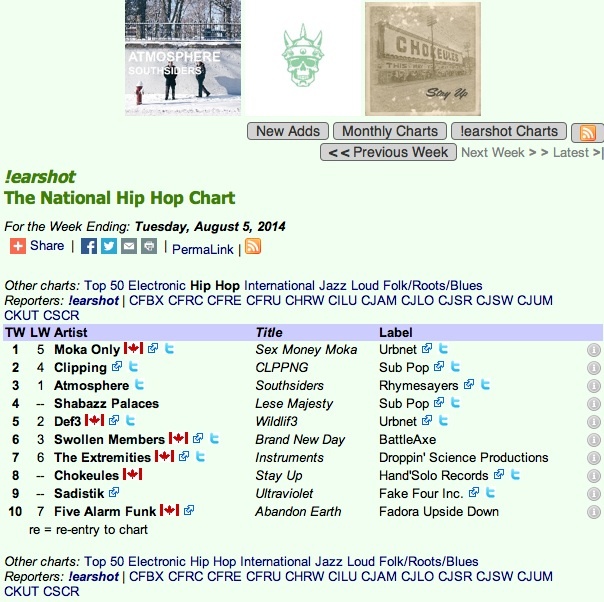 Stay Up debuts at #8 on Earshot’s National Hip Hop Chart and at CJAM in Windsor the album breaks out of the hip hop ghetto and debuts on their all-genre top 30 at #12. 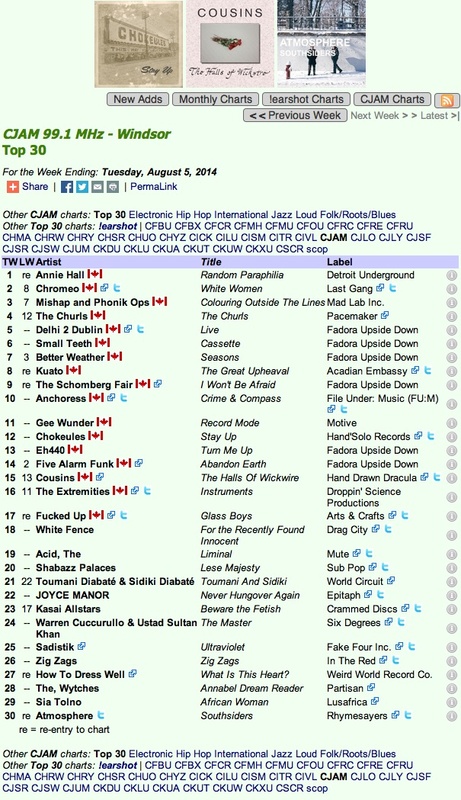 Congrats to Choke, and a big thank you to all DJs playing the album and getting Stay Up on the charts across Canada!